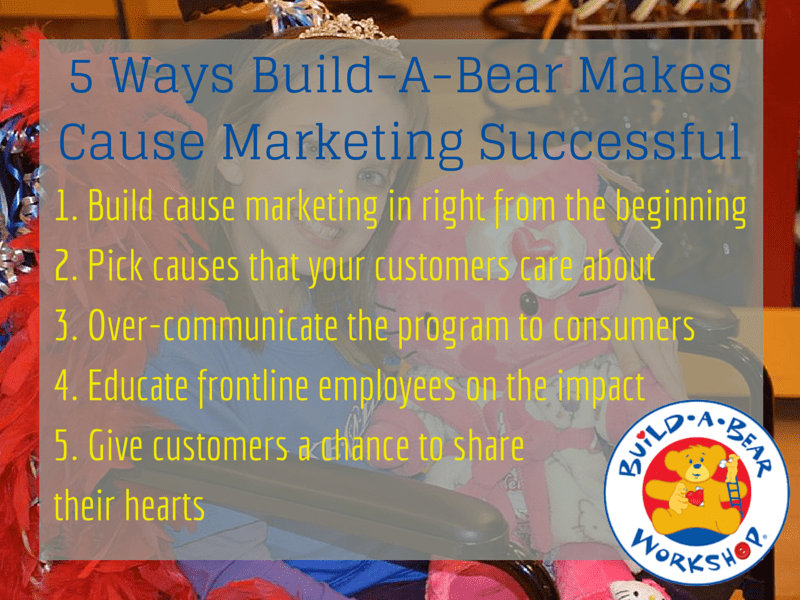 Today on CauseTalk Radio, Megan and Joe talk to Tanya Coventry-Strader, Managing Director of Bear Marketing Communications at Build-A-Bear Workshop about their Share Your Heart program to benefit Make-A-Wish. For the second year in a row, Build-A-Bear will commemorate Valentine’s Day by asking customers to donate a dollar or more at checkout in their stores or online. Last year, the fundraiser raised $440,000. Since the first Build-A-Bear opened in 1997, the chain has donated $41 million to charities.